The 7DAYS EuroCup Top 16 is already in full swing and five teams still remain undefeated after two rounds. 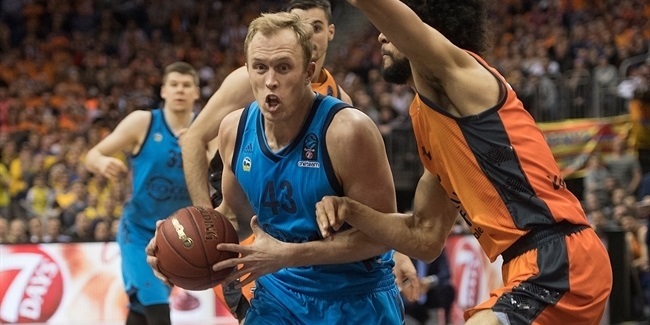 Others got their first win this week, like Zenit St Petersburg whose Janis Timma stepped up for another big individual performance that earned him weekly MVP honors for the second time this season. Timma led his team with 27 points - including 5 of 9 threes -, 6 rebounds, 3 assists, 2 steals and 2 blocks (a EuroCup career record for him) for a performance index rating of 31, the highest this week among winning players. Shawn Jones of Hapoel Bank Yahav Jerusalem followed with a PIR of 29 in his team's win. Jones netted 21 points (8 of 9 two-pointers), pulled 9 boards and drew 5 fouls. Completing the three best individual performances of the week was veteran Ksistof Lavrinovic of Lietkabelis Panevezys, who hit 19 points, pulled 4 boards, dished 2 assists and had 3 steals for a PIR of 28. On a side note, it's also worth mentioning that DeAndre Kane of Nizhny Novgorod also has a great night matching the top individual performance of the week with w PIR of 31, but since his team lost the game, he is not eligible for the MVP distinction. Taking a look at the best marks of the week in several categories, Timma was also the highest scorer of the week with his 27 points, but he was joined by ratiopharm Ulm's Raymar Morgan, who hit a personal record with that same figure. Unsurprisingly, the rebounds king of the season so far, Drew Gordon of Lietuvos Rytas Vilnius, also pulled more than anyone else this week with his 11 boards. Yotam Halperin of Hapoel Jerusalem had his best assists register of the season with his 11 decisive passes, the most by anyone this round. 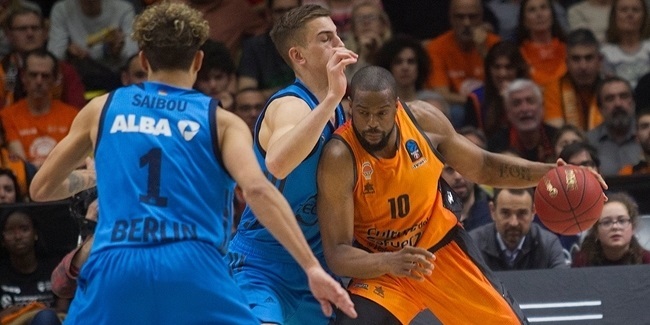 In the defensive end of the game, three players managed to get 4 steals apiece: Engin Atsur of ALBA Berlin, Bojan Dubljevic of Valencia Basket and Trevor Mbakwe of Zenit. 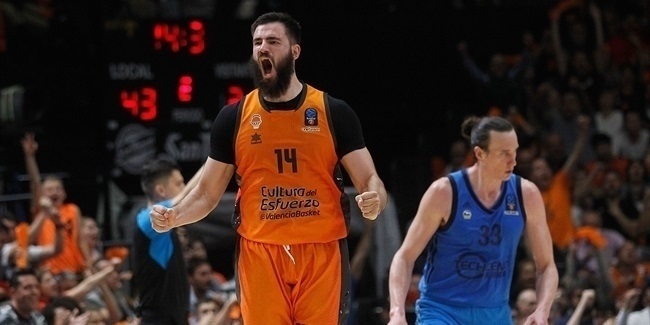 The latter completed his stellar night in defense with his 4 blocks, the most by anyone this week in the EuroCup.